*Maybe not scientifically correct. But close enough. My take: I actually liked it quite a bit. I’m more likely to give procedurals a chance, but I need a few things from procedural pilots: a good case, and a compelling character or group of characters to get attached to. I really enjoyed the case in this first episode, and didn’t see every aspect of it from a mile away. Blair Underwood absolutely is the best reason to tune into the pilot as he completely owns the role. The rest of the cast is interesting and there are a couple of supporting characters that are set up to have good/great arcs, but the first hour is really about letting Underwood shine. Watch the IRONSIDE Pilot Now! 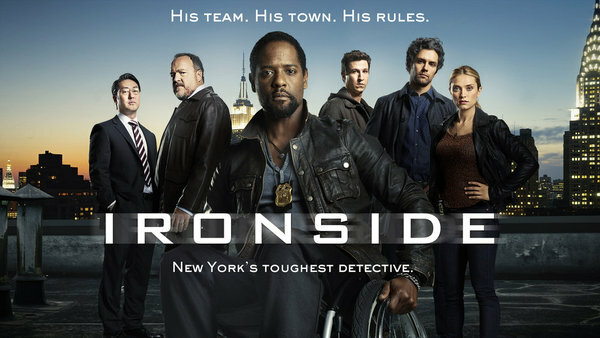 IRONSIDE premieres tonight at 10 PM on NBC. Just wanted to know the name of that song and who sings it at the very end of the show. Please help. Can’t get it out of my head.